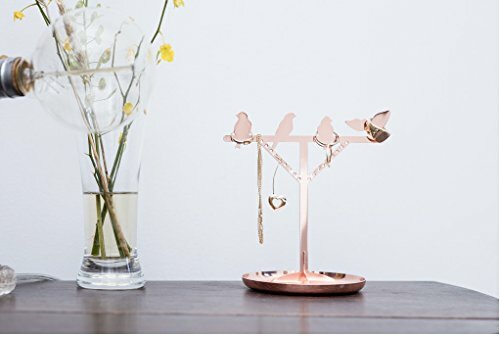 An exquisite and fabulous piece of art, this lovely and delicate bird jewelry holder will shine a new bright and enticing light upon your home! It is a great example of fine craftsmanship and efficiency! 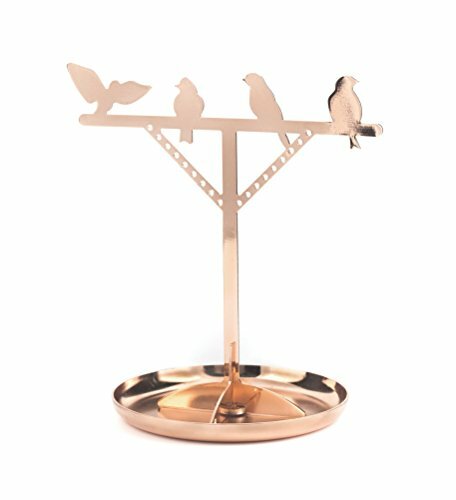 It has been manufactured out of sturdy and high quality copper and has later received a premium layer of shiny furnishing. It is a beautiful and rich color of gold with reflective qualities. The product contains a round large tray with a rectangular pole in the middle. The pole supports the row of little birdies. They are a lovely and adorable design and number four per total. The base can easily hold any kind of pieces of jewelry, bow ties, scarves, ties and make up products. 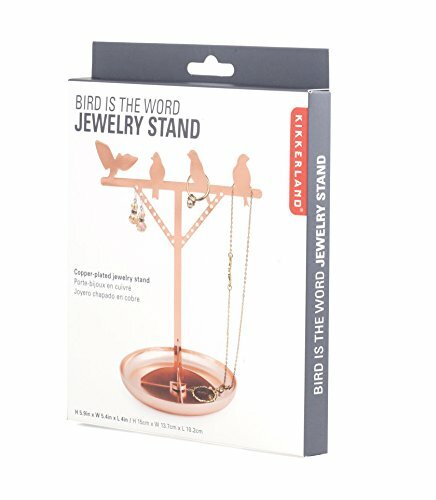 The body of the support is most fit for your pairs of earrings as it can accommodate them in its hooks with great ease. 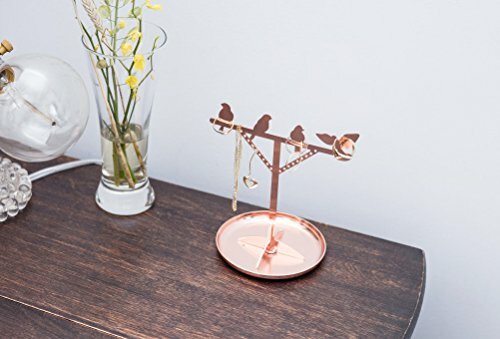 The copper bird jewelry holder only requires a simple and minimum assembly so you don’t have to worry about wasting time putting its pieces together. It will definitely embellish your desk, vanity, dressing table! 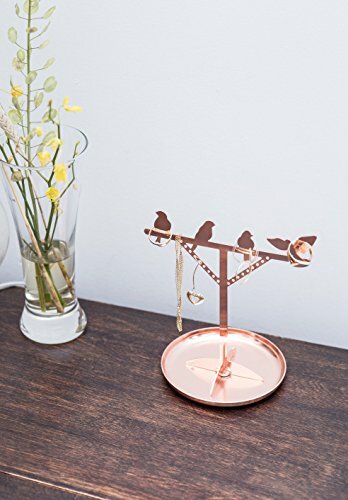 Get this adorable and gorgeous little birdie holder and it will surely prove to be very useful and convenient around the house, therefore you will see it is completely worth its money! Be it for yourself or for a gift, it will undoubtedly be very much admired and welcome! The overall dimensions of this product are the following: 6.3 by 7.1 by 3.9 – in inches, and its weight is 4.2 ounces.